Oooooops, looky. Another house from the Finn! This is something I was building for my own fun, but happened to show at chat, and once again got told I should upload it. Well, that's fine, I actually wanted to. 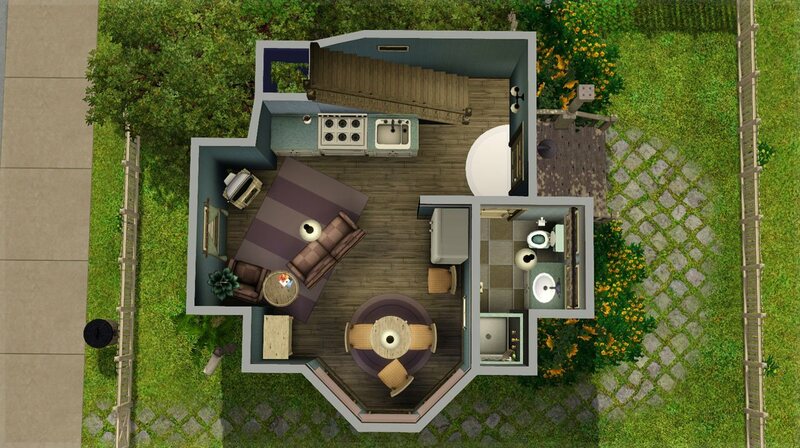 a Little Dream is a small cottage, that consists of an open kitchen/living-/diningroom combo, a bathroom, and a bedroom in second floor. 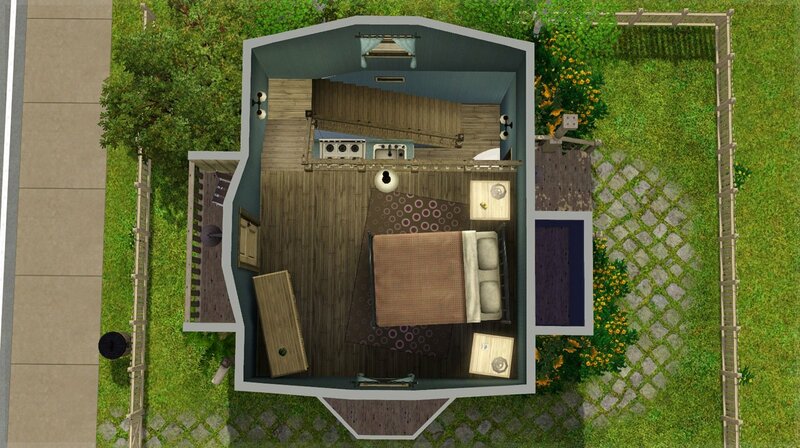 There is just enough room for two sims to start their life together. You can see in the pictures, that two of the dining chairs are not "properly" placed with the table. The one slightly rotated causes a routing issue if the sim wants to sit on it, but if it bothers you, just take hold of it and snap it against the table. For me, the look and feel was more important. The lot has been playtested. 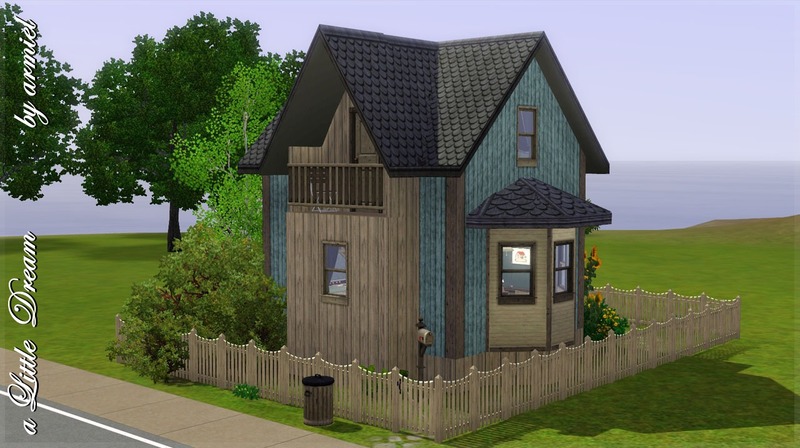 It's base game only, and you don't need to download any CC to use it (please see the credits though). Buzzler, for comments when making the lot the first time, comforting me when I lost it, being such a critique when I rebuilt, and for the mental image when I finished. And as usual, for the awesome mods I used when building this. 415 people have said thanks to armiel for this download. This is so adorable! I love the ceiling and stairway - I can never seem to get those quite right! I'm kind of desperately hoping you'll keep creating awesome stuff, but do what's best for you! This is a fabulous little house. I love it. bibblygirl I love it! Perfect for my simmies! RaptureQuinn oh, this is so cool! 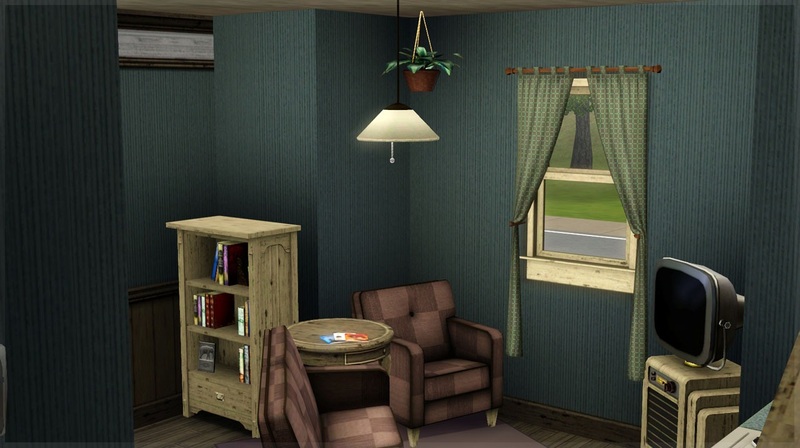 I love all the slightly crooked furniture, it does make it feel more homely. 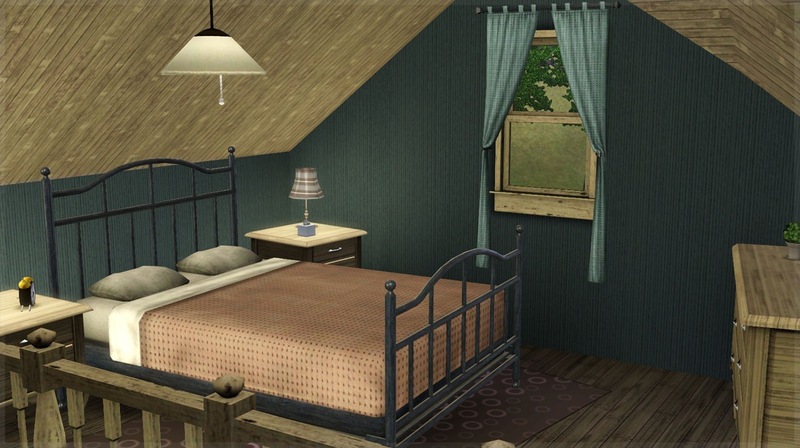 That bedroom looks so very cozy! 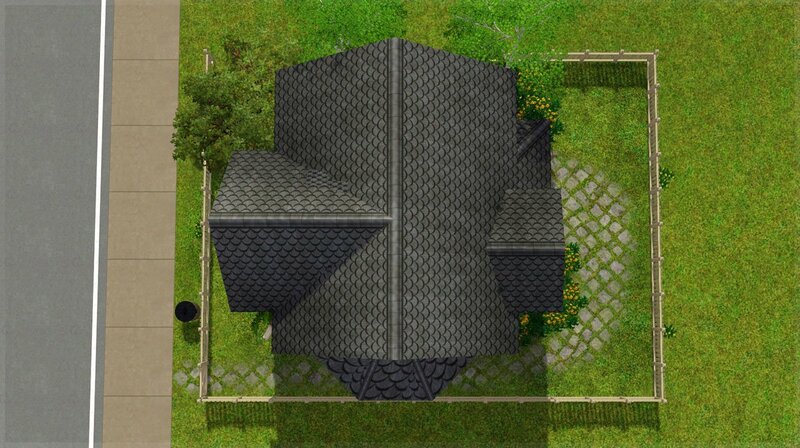 And it's really awesome that you made a base game house! Just a question... if I have game version 1.39, can I still play this? 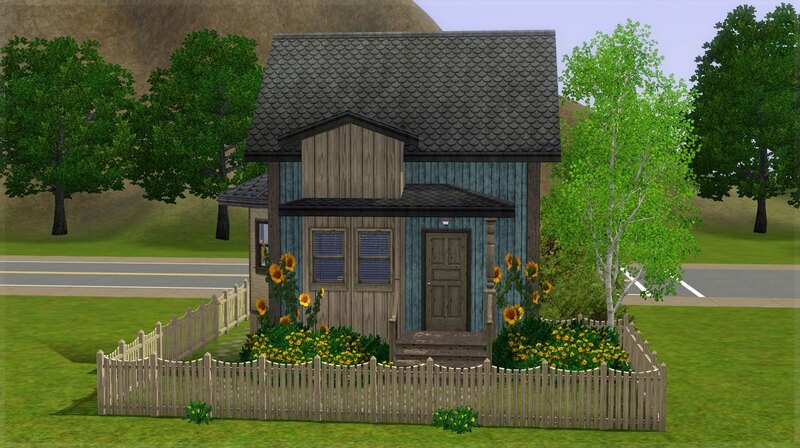 Also, great little house, I love these types of things!